BEIJING/DETROIT -- Chinese ride-hailing giant Didi Chuxing is exploring ways of collaborating with established automakers and parts suppliers to jointly develop cars purpose-built for its services, the company said. Pay-per-use services such as car-sharing and ride-hailing are starting to challenge traditional car ownership in some in some of China's most congested cities, such as Beijing and Shanghai, while global automakers are starting to bill themselves as "mobility" companies that do more than just build and sell vehicles. 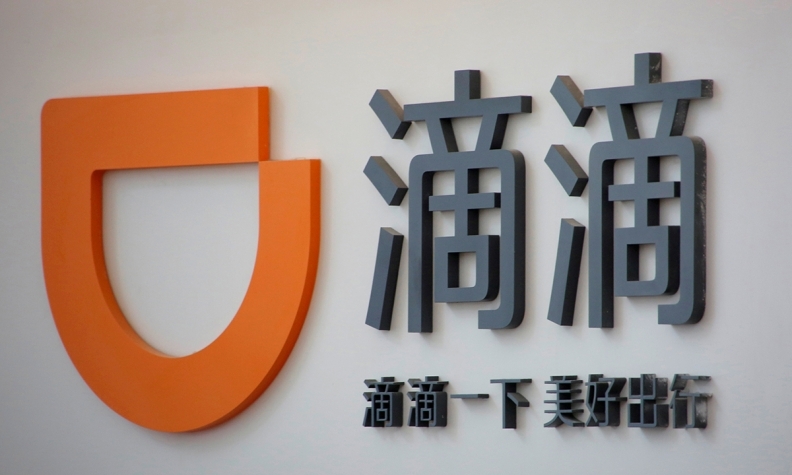 Didi officials said the disruptive change sweeping the industry meant there was a clear mutual interest in new players like itself and traditional manufacturers working together to develop and improve ride-hailing and sharing platforms. "Traditional automakers have different skillsets and understanding of the market, and those are all valuable to us," Kevin Chen, general manager of Didi's automotive service platform, told Reuters in an interview. "It's not like only we understand the customer. We are open to every form of cooperation." Didi is China's biggest ride-hailing company, cementing its dominance when it bought out Uber's operations in the country in 2016, and is preparing to launch car-sharing and other on-demand transport services. It currently uses regular passenger cars, but says as it develops its offerings it sees a need for more dedicated "purpose-built" vehicles. Many would likely be electric vehicles, either full-electric battery cars or plug-in hybrids. Didi says it wants to establish "open platforms" whereby it could share its customer and operational skills with automakers or parts suppliers wanting to develop their own ride-sharing operations, in return for expertise to help it design these purpose-built cars. According to the company, the "alliance" announced in Beijing on Tuesday was designed to "become a provider of integrated transportation services combining auto leasing and sales, auto finance, auto service, fleet operation and car-sharing solutions in China and beyond." It did not say whether it was already in discussion with any established automakers on such collaborations. Three people close to the company said automakers likely to collaborate with Didi in co-developing purpose-built vehicles included Chinese-funded EV startup CHJ Automotive and GAC Motor. Didi already has a small but expanding team of automotive designers, engineers, quality control and battery experts, according to the three sources close to the company. Those experts are scrambling to develop vehicles for a shared car service the Beijing-based company is testing in Hangzhou, in eastern China, for an eventual nationwide rollout, they said. "We're designing customized cars because without hardware product, you can't be a serious mobility company," one of the people said. The move signals that, even as a host of established automakers gear up to show off their latest models when the Beijing auto show opens later this week, a new battleground could be opening up in the automotive engineering and design centers of some ride-hailing and car-sharing services companies. As car-hailing becomes an increasingly popular option for commuting and running errands in congested cities such as Beijing, Didi is betting that vehicles purpose-built for such services could start to replace familiar everyday automobiles like the Toyota Camry or the Honda Civic. Industry experts and officials remain divided on how quickly such a future might arrive. The people close to Didi pointed to the fact that most personal vehicles sit idle in parking lots for 22 hours a day or more. On top that, "parking is expensive, you need to maintain your car and pay insurance to drive," one of them said. Uber, the largest U.S. ride and delivery services firm, has not yet begun to build the sort of in-house design capability that Didi is contemplating. Uber does not have a formal design group, but it has begun working with a number of vehicle manufacturers across topics that might include future vehicle design, according to a spokesperson. A recent partnership with Toyota Motor, which has a minority stake in the company, calls for Uber to provide design feedback on the interior of Toyota's e-Palette self-driving vehicle. Didi has struck a similar deal with Toyota. Lyft, the second largest U.S. ride services firm, does not have a formal design group, either. It has provided input to at least one manufacturer's advanced design team, according to a source with knowledge of that input. Didi's designers and engineers envisage dedicated vehicles that will likely look very different to the cars used today for commuting and running errands, the people close to the company said. For example, they say current mainstream cars are heavily "overspecced" - packed with equipment most drivers do not need such as engines and other technologies that allow them to go as fast a 150 mph (250 kph). Performance levels for ride-hailing and car-sharing service vehicles could be dialed down significantly, meaning they would not have to be so aerodynamic. Cars designed to carry just one or two people at a time to work or the shops could therefore be "boxier," with fewer seats and more space for luggage. "We are redefining the definition of the regular day-to-day car, one of the sources said.